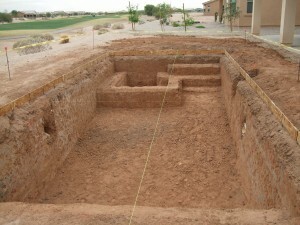 One pool was excavated by California Pools and the other was excavated by another company who claims that “they are just like California Pools”. Can you guess the one we built? I would hate to be the homeowner with the poorly excavated pool when they get the bill for the shotcrete overbreak! Why is it so important to have a pool with vertically excavated walls and flat floors? Because it creates a safer, more enjoyable and spacious swimming pool compared to the industry norm. Most other pool companies use “tea cup” engineering that requires less steel and shotcrete and also less room to swim but is cheaper to build. 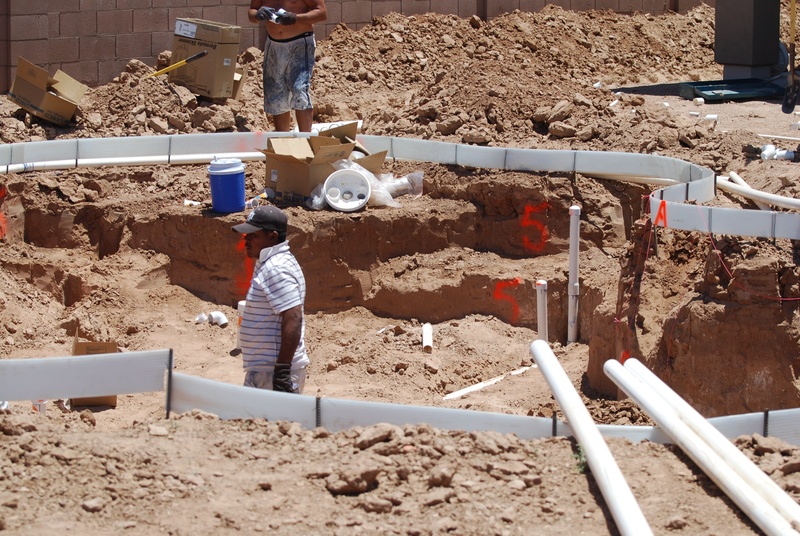 California Pools has exclusive pool engineering specifications on file with each city’s permit department. We build a stronger more durable pool and we can prove it!